According to a report released by TechSci Research, “India Breakfast Cereal Market By Product Type, By Pricing, By Pack Size, By Distribution Channel, By City, Competition, Forecast & Opportunities, 2013-2023”, India breakfast cereal market is projected to grow at a CAGR of 17% during 2018 – 2023. Growth of the market is led by rising urbanization and changing lifestyle pattern along with increasing disposable income. Moreover, people are now becoming more health conscious, thus they are increasingly opting for healthy food including breakfast cereal. 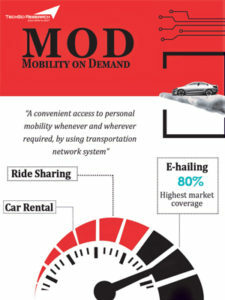 This trend is essentially witnessed in tier-I and tier-II cities, where there is higher need for convenient options and life is fast-paced and is characterized by higher spending power, hectic lifestyles leading to very less or almost no time for indulging in traditional, elaborate home cooked breakfast. 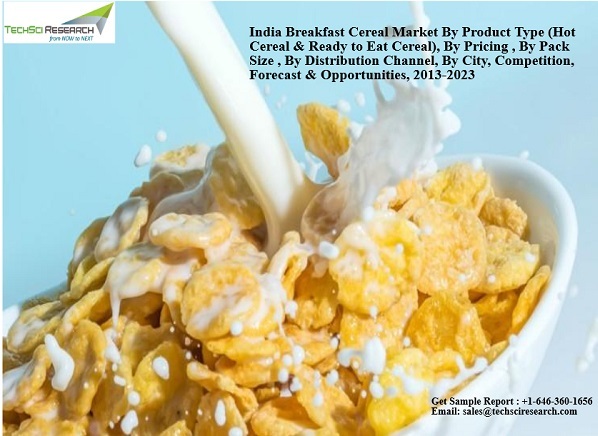 Moreover, cereal manufacturers are expanding their distribution network in India which is further anticipated to positively influence India breakfast cereal market in the coming years. Breakfast cereal is made from processed grain and is considered as a healthy early morning breakfast. It is divided into two types, namely, hot cereal and ready-to-eat cereal, of which the latter is the dominant category.India Breakfast Cereal Market Size, India Breakfast Cereal Market Share ,India Breakfast Cereal Market Trends ,India Breakfast Cereal Market Growth ,India Breakfast Cereal Market Analysis ,India Breakfast Cereal Market Future Among regions, North and west regions of the country are the leaders in India breakfast cereal market due to presence of cities like New Delhi, Mumbai, Pune and Ahmedabad, which have large urban population base and rising working women population. Online sales channel is anticipated to emerge as the fastest growing sales channel in India breakfast cereal market on account of increasing consumer preference for non-store-based retailing, which is encouraging several manufacturers to start online web stores on their websites. “India breakfast cereal market is growing at a good pace due to increasing preference for breakfast cereals over home cooked food, especially in the country’s urban areas. Moreover, rising focus of manufacturers on product innovations with the introduction of new variants such as Quaker Oats’ Masala or Saffola’s Lemon Variant, etc., is further expected to push demand for ready to eat breakfast cereals in the coming years. Additionally, growing awareness about health benefits of breakfast cereals would further steer growth in the market during forecast period.” said Mr. Karan Chechi, Research Director with TechSci Research, a research based global management consulting firm. “India Breakfast Cereal Market By Product Type, By Pricing, By Pack Size, By Distribution Channel, By City, Competition, Forecast & Opportunities, 2013-2023” has evaluated the future growth potential of India breakfast cereal market and provides statistics and information on market structure, size, share and future growth. The report is intended to provide cutting-edge market intelligence and help decision makers take sound investment decisions. Besides, the report also identifies and analyzes the emerging trends along with essential drivers, challenges and opportunities present in India breakfast cereal market.